The Critical Language Awareness Series was published in 1993 by Hodder and Stoughton and Wits University Press. I edited all six workbooks, and wrote two. These workbooks, used in classrooms in South Africa, formed the basis of my national and international reputation (65 academic citations for the series as a whole and 25 and 34 for each of the workbooks I authored). First, they translated complicated social theory into activities that were accessible to secondary school students. Second, they were written in language that was accessible to students who were not native speakers of English and so could work across the divides in SA education. Third, the series included visual literacy – then a nascent field. Fourth, the books in the series refused the conventional use of ‘neutral’ exemplars in language teaching. Finally, although written for South African classrooms, these workbooks were taken up internationally. Students need skills to read texts critically in order to understand the interests at work. During apartheid this was vital in order for students to contribute to the creation of a just social order, and the series gave teachers the necessary tools. Although now out of print these workbooks are available in Wits University‘s online repository. To follow. See more here. 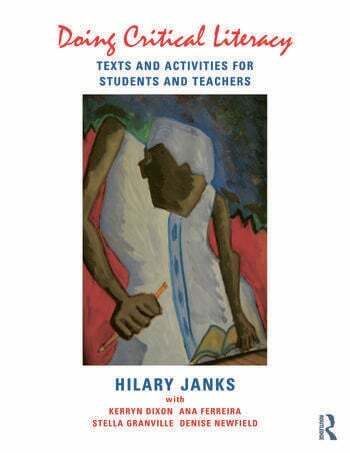 The workbooks prefigure Doing Critical Literacy (Janks et al, 2014), which provides teachers with examples of critical literacy practice. The practice is underpinned by my own integrated theoretical model of critical literacy, developed in my monograph Literacy and Power (Janks, 2010). 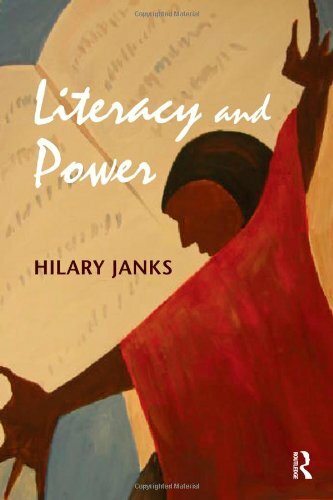 The model shows how questions of power, access, diversity, design and transformation or redesign need to be integrated if literacy is to contribute to the creation of a more equitable society. It is based on the decade of research after my doctorate. See more here. I have also acted as a reviewer for an extensive range of journals, as well as books for Routledge and Springer, the pre-eminent publishing houses in the field of education. Browse a list of my chapters in books.